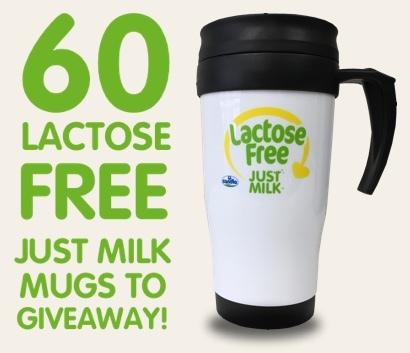 We have 60 handy Lactose Free JUST MILK take away, reusable mugs to giveaway. They’re perfect for those early mornings when you have to leave the house in a hurry but want to take your tea or coffee with you. All you have to do is fill in the form to enter and we will pick 60 winners out randomly.